Why participate in Pajamas and Pancakes? Meet some of our childhood cancer champions. Their compelling stories will inspire you! By participating in Pajamas and Pancakes you'll be raising funds that will directly help kids battling cancer and their families. Learn more about the difference you'll make. As the largest community diagnostic laboratory in Canada, LifeLabs has been committed to building a healthier Canada for over 50 years. Caring is one of LifeLabs’ core values – we care deeply for our patients, each other and our communities. We are a community supporter and next-door neighbour for thousands of Canadians which is why we champion causes that enrich the communities where we live. LifeLabs is proud to sponsor the Pediatric Oncology Group of Ontario (POGO) Pajamas and Pancakes program. 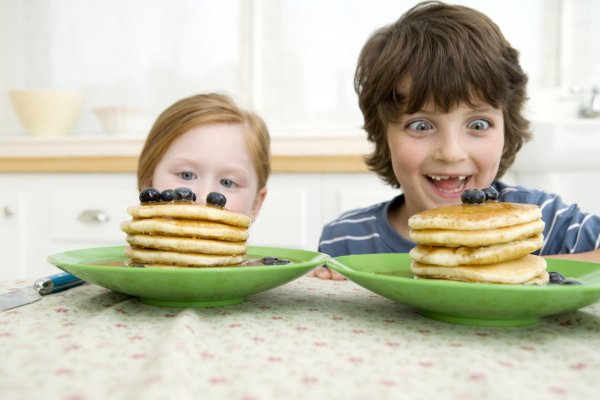 Pull on your favourite pjs, gather the gang and share a short stack for a big cause. Host your own FUNdraising pajama party or event and help champion kids' cancer care. It's the FUNdraising event that everyone will love, so get your family, friends, school or co-workers into their jammies and let's get cooking for an incredible cause! To date, Pajamas and Pancakes has raised over $220,000 in support of kids' cancer care! Help us reach our goal of $200,000 in 2019! 1. SIGN UP: Click on "REGISTER" and follow the easy, step-by-step registration process to create your own FUNdraising page. Once you've registered you're all set to host a pajama party, pancake extravaganza or your own event creation! Need help? Don't worry, as soon as you register your own personal fundraising coach will be in touch within 24 hours to answer any questions and to make sure you're on the right track.